Do not come to Anton Corbijn’s “A Most Wanted Man” expecting a spy movie full of car chases, beautiful women and tense, near-escapes with death. Do not come to “A Most Wanted Man” expecting dramatic shootouts or romantic horse rides along the beach. Do not even come to “A Most Wanted Man” expecting a lot of running, the mainstay of action films. Come to “A Most Wanted Man” expecting life — in all its mundanity and confusion — and a glimpse of the secret underworld that its inhabitants try so hard to make us forget exists at all. An adaption of a 2008 John Le Carre novel, “A Most Wanted Man,” like Le Carre’s other work, comes much closer to what being a spy is really like than any Bond or Bourne film ever could. Set in post-9/11 Hamburg, Germany, the city’s underlying sense of guilt and subsequent vigilance — Hamburg was the city from which Mohamed Atta and his conspirators planned the 9/11 attacks — fits the tone of the film well. The late Philip Seymour Hoffman stuns as Gunter Bachmann, a German counterintelligence agent who believes in the importance of watching a suspect to gain more information about his network, rather than swooping in as fast as possible. Those who already lament Hoffman’s heartbreaking death, and the great hole his absence leaves, will find that sense of loss compounded by his performance in “A Most Wanted Man.” As Hoffman has done in countless roles before, he removes the artifice so common in Hollywood acting, making Bachmann so real it is, at times, uncomfortable. Hoffman’s Bachmann is clever, resourceful and the ultimate underdog, because he is just as fallible and just as incomplete as any real-life espionage agent — or real-life person — must be. In a world made hyperaware of extremist terrorism (and in the city in which its most famous attack was planned), “German intelligence,” as Bachmann puts it, “needs a job to be done that German law won’t let it do.” That’s where Bachmann and his team come in: tracing one person of interest to another — sometimes using means less legally or morally sound than others. Their person of interest is Issa Karpov, a devout Muslim who is half-Russian, half-Chechen. When Karpov seeks asylum in Hamburg, Bachmann and his team watch and wait, hoping for Karpov to lead them to the man they’re really after: Dr. Faisal Abdullah, whom they suspect of financing terrorist operations under a front of charity organizations. 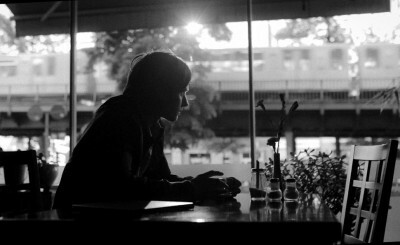 Bachmann and his team, however, are not the only ones interested in Karpov or Abdullah. German government agents and members of the CIA, too, jockey for position to run the sting the way they want to — most notably, Martha Sullivan (Robin Wright), a CIA agent who will do whatever it takes to “make the world a safer place.” Bachmann and his team are forced to wrestle on two fronts: against the insidious, murky world of suspected extremist terrorism and against the equally cold-blooded approach of those on “their side” — the American and German bureaucracy. 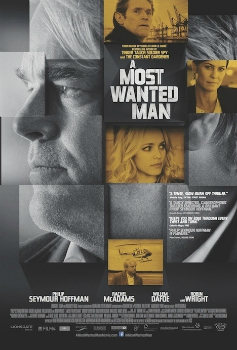 “A Most Wanted Man” is not an explosion; it’s a slow burn, two hours of tension. It’s not so much a spy film as it is a film about the people that happened to be spies, or spied on. No character is static, and every character surprises. “A Most Wanted Man” goes beyond the tough exterior of most thriller and spy films, exploring the moral grey area that has long been espionage’s home and that is also home to the film’s characters. As Sullivan puts it to Bachmann: “But every good man has a little bit of bad, doesn’t he? And in Abdullah’s case … That little bit just might kill you.” In “A Most Wanted Man,” no character is exempt from his or her little bit of bad — and that little bit definitely, absolutely, could kill you, them or anyone who stands in their way.